The Virginia Legislative Session is underway and bills are being filed at a rapid pace. Bills will continue to appear until the deadline of Janurary 23, 2015. Please see the bills we are tracking by clicking this link. On January 12, 2015, Natural Resources Police Chapter President Wayne Weller and I met with Delegate Knight about HB 1298. This bill deals with stopping watercraft by law enforcement. Delegate Knight discussed with us why the bill was introduced and some of the history behind it. We left the meeting with information that will be useful as response to this bill is considered. I attended the Natural Resources sub-committee meeting that was scheduled to consider HB 1298 on January 21, 2015. The bill was passed by for the week and was not heard. We will continue to watch this bill's progress. Later on the 12th, I assisted our Southeast Chapter with a political screening for the Portsmouth Commonwealth Attorney special election on Feburary 10, 2015. The board is proud to announce that they have endorsed long time PBA attorney and friend of the organization, Ali Sprinkle. If you live in or near Portsmouth, or have friends or family that do, please consider supporting Ali Sprinkle for Commonwealth Attorney. On January 31, 2015, our Public Safety Stakeholders Group met with Delegate Chris Jones on the topic of the Line of Duty Act. Delegate Jones is Chairman of Appropriations, and has introduced legislation concerning line of duty in the past. Chairman Jones reported to the group that at current growth levels, the act is unsustainable and action must now be taken to ensure its future financial health. The legislation Chairman Jones plans to introduce will reportedly make some technical changes to the Line of Duty Act dealing with its administration. We were advised that there will be no benefits impacted at this point. Chairman Jones asked the stakeholders present to commit to continued meetings over the next year to give input on benefit issues before any legislation is submitted in 2016. The group will meet over the summer with the hope of having an acceptable bill ready by November 2015. The primary goal of the stakeholders is to make sure the line of duty benefits will remain for those who have earned them, and to make sure the benefits will be there for those who will earn them in the future. Delegate Jones submitted HB 2204 with the changes to the Line of Duty Act. The bill is currently being reviewed by the stakeholders and has raised some concerns that may prevent us from supporting the changes. Discussion continues as the bill makes its way onto a committee docket. Delegate Hugo has filed HB 1744, which is the revised version of last years bill HB 1203. This bill is aimed at balancing the fairness involved in the final steps of the grievance process. The bill impacts hearing panel selection and gives the final review of the panel decision to the Commonwealth Attorney instead of an official from the jurisdiction. The teachers Union has joined in support and I have preliminary reports that the firefighters are also in support of the bill. I have spoken to some local Commonwealth Attorneys and am waiting to hear from their association president on possible support. On January 21, 2015 I stopped by Delegate Hugo's office and discussed the bill's progress with his staff. A bill that will be very interesting to our Sheriff's Department members is HB 1765. This bill breaks the civil liability link between a deputy and the sheriff. I spoke to John Jones from the Sheriff's association and he reports this bill was introduced at the request of his Association. I asked Mr. Jones if this would impact the Associations' argument against job rights for Deputy Sheriff's, since that civil liability link has been cited as one reason to deny deputies job rights. Mr. Jones told me that this would not impact their stance on the topic of procedural guarantee and that it has not been used as one of their arguments in the past! I found this statement very interesting. HB 1765 was reported out of sub committee on January 21, 2015, and we will continue to follow this bill as it moves to full committee. Also see HB 1670. Senator Wexton's staff reported to me on January 21, 2015, that she will submit a bill concerning jurisdictions paying dues to organizations without the knowledge or consent of the employees. Legislative services is working on the language for the bill. 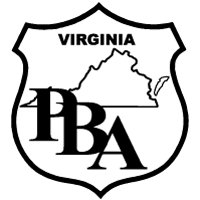 The idea came from some PBA members who have attempted to be removed from the roles of the Sheriff's association but continue to be members against their will since the Sheriff pays the dues. I will add this bill to our update when it is filed. I spoke to Senator Deeds' legislative staff on January 21, 2015, and thanked them for submitting SJ280, which is a bill that will call for a study by JLARC on the consolidation of state law enforcement. We have supported this study which will hopefully give us data to pass on to our members so an informed decision can be made on the topic. HJ 501 is a similar bill to SJ280. HJ501 was on the docket for the House sub committee on Rules on January 22, 2015. Natural Resources Police Chapter President Wayne Weller was at the meeting to support the study bill. The bill was not called or debated, it was quickly killed when the committee voted to "lay it on the table." Delegate Anderson has submitted HJ 578 which has raised alarm among the law enforcement stakeholders. I had this bill looked at by our legal staff and we are all in agreement that it may have a negative impact on the investigation of cases, as well as exposing officers and jurisdictions to increased civil liability. I met with Delegate Anderson on January 21, 2015 and advised him that this bill casts him in an anti-police light. I told him I know that is not his intention and would work with him to fix the bill but in its current form we must strongly oppose it. Delegate Anderson told me that he did not expect the bill to pass in its current form. This bill is scheduled to be heard by the sub committee on Constitutional Amendments on January 26, 2015 at 0730, I will be in the meeting to show our opposition to this bill as written. Please take a moment now to email or call these committee members!! Delegate Hugo has introduced HJ597 which he had previously discussed with Virginia State President Joe Woloszyn. This bill gives tax exemption status to family of public safety members killed in the line of duty, this bill will also be heard on 1-26-15 by the sub committee on Constitutional Amendments and I plan to speak in support of this bill.